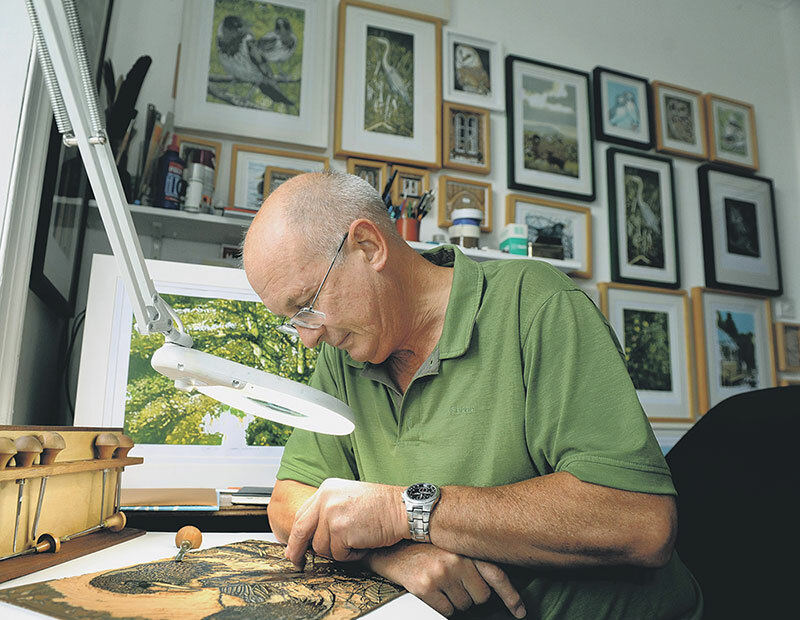 I am an Addingham based printmaker working mainly through the medium of reduction lino printing. I enjoy the essentially ‘primitive’ character, craft skill and historical continuity bound up in the process of block printmaking; the intellectual and technical exercise of manipulating the original image to exploit the potential of the medium - and its serendipitous nature. By limiting the editions of my work I allow myself time to experiment within the process itself, sometimes on a print by print basis adding to their individual nature. My work, based on my own drawing and photography, covers a range of subjects. The underlying theme is, however, that of attempting to capture and make a subjective response to specific instances of location and time. In the momentary coming together of disparate elements and perspectives, I try to create visual narratives that have, in themselves, small significance - but remain essential parts of a reflection of a complete and uniquely personal aesthetic experience’.